Say that in a crowd and most might run for cover and ask questions later. In Florida, we offer habitat to 46 species of native snakes. 34 of these native snakes can be found in Southwest Florida including 4-6 venomous breeds. The Pygmy Rattlesnake is the most common venomous snake in urbanized areas. South Florida also hosts 3 of the 4 nonnative species of snake, including Burmese Pythons and Boa Constrictors. If you see a snake, stop and watch. Most snakes will mind their own business and slither along without giving you a second thought, because they are more afraid of you than you of them, really! While you watch and wait, consider how beneficial these creatures are to maintaining the balance of the fragile ecosystems of Southwest Florida. Snakes are an important part of our local ecosystems, as they provide sanitation and pest control by keeping rodent populations in check. Rodents, including mice, rats and more, frequently carry diseases that can spread to humans. These diseases include Lyme disease, Salmonella, and Rat Bite Fever. Lyme disease is the most common and widely spread tick borne disease in the United States infecting upwards of 300,000 annually. 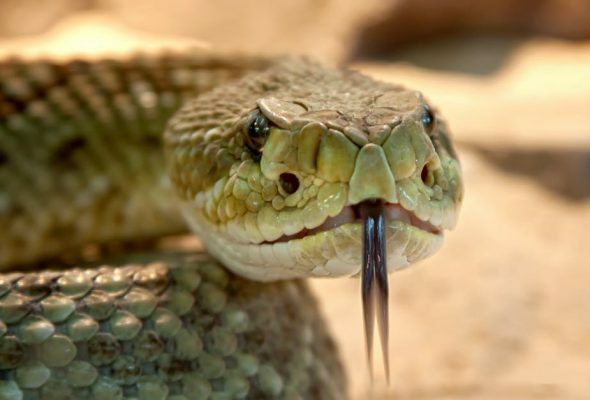 Consider these cold-blooded, sneaky serpents a benefit, not an enemy! Another benefit to hosting a number of snakes in Florida? They provide other creatures with a great food source. Birds such as owls, herons, eagles and falcons, and other critters like alligators and bobcats devour snakes, helping the balance of the local ecosystem with every meal. Additionally, when snakes shed their skins, they leave behind valuable nutrients that are then reintroduced into the ecosystem around them. From putting nutrients back into the Earth to providing protection to smaller animals and their young – for the birds who use the skins as part of their nests – the skin that these serpents shed have many uses (with many more to be discovered! ).